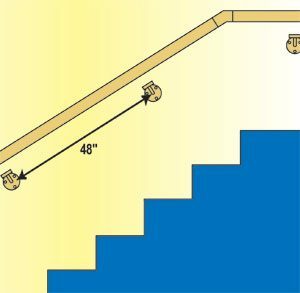 Measure your staircase where you will be installing your Handrail. 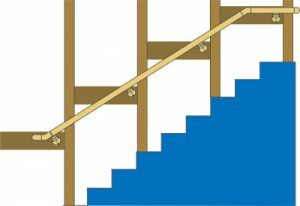 Make a simple sketch of your Handrail. The materials needed include Tubing, Handrail Brackets, Finials, Wall Returns or End Caps. You may also need Tube Splices, Elbows or Wall Flanges – depending on your specific project. Determine the length of the Tubing and be sure to include the dimensions that the Brackets and Fittings may add or subtract from the overall length of the Tubing. Create a detailed parts list consisting of all parts and quantities required. 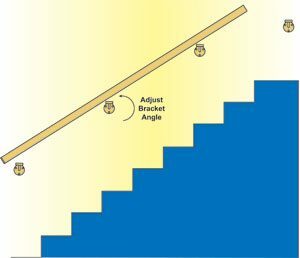 When calculating quantities of Brackets needed, place a Bracket 6" from the Tube ending and either side of an Elbow or Splice. Then space equally throughout the length of the rail. We recommend spacing the Brackets 36 to 48 inches apart. 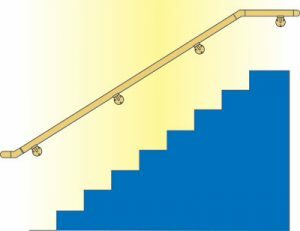 In most cases, it is desirable to transition the Handrail past the last stair with a horizontal rail of 6 to 12 inches. Some local codes require this extension be 12 inches. Contact your local authorities to confirm requirements. Place your order by contacting Wagner or online at www.shopwagner.com. Note that our Brackets include mounting screws for typical installations – your application may require additional hardware available at your local hardware store. Mark the Tube for the appropriate length for cutting. Double check all measurements before cutting. Please note that Tubing comes wrapped in a layer of plastic film that should be left in place as long as possible during the installation process to protect the finish of the metal. Mark the location of your Brackets with a pencil. The Brackets require a solid backing of at least 3/4". 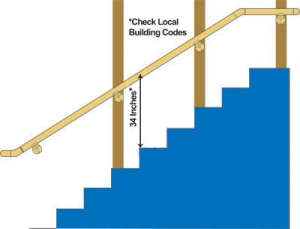 Carefully read the instructions for Lido-Weld adhesive prior to installation. Once you have the right height and position of the Bracket, begin to attach the Brackets loosely to the wall with one screw. Place the Tube on the Brackets and adjust the Brackets for proper angle before you securely tighten the Brackets to the wall with the rest of the Bracket screws provided. Securely tighten Tube to Brackets with self tapping tek screws. To secure Finials or End Caps, apply a continuous bead of Lido-Weld adhesive around the interior surface of one part and press and rotate the component into place. Once installation is complete, remove the existing protective plastic film from the tubing. Maintain the rich finish of your rail with Lido-Lustre Metal Polish. How do I maintain brass or stainless steel finishes?